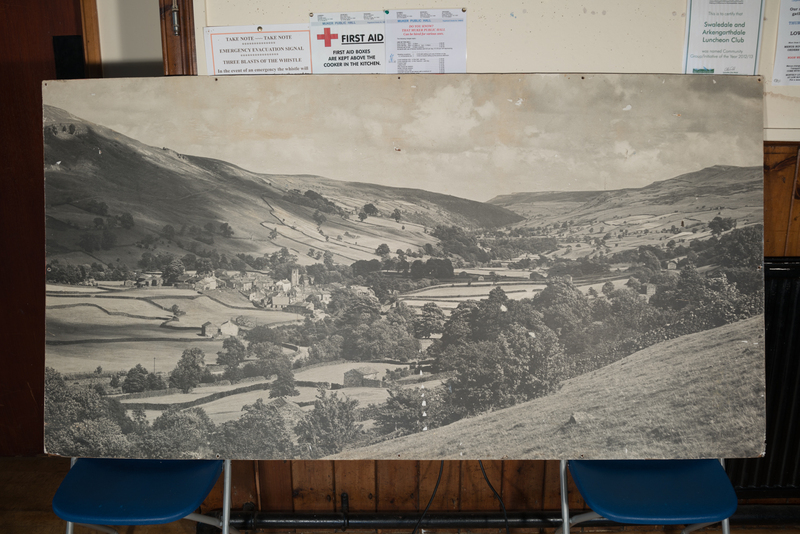 A recently re-discovered print of Muker, measuring 6 feet by 3 feet, found in Reeth Memorial Hall, and dating to circa 1950, one year before electricity came to the village and four years before the creation of the Yorkshire Dales National Park. Considering its age it’s in remarkable condition. Who took remains a mystery but whoever it was, had a fine eye, a fine camera and a fine set of muscles to carry it! 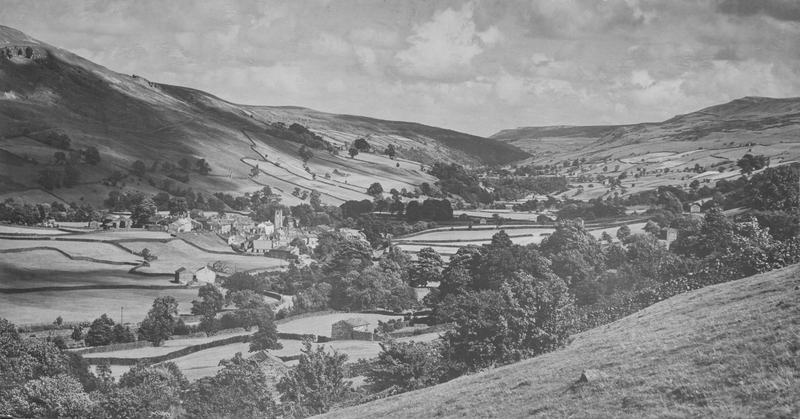 And hopefully the restored version below, now on sale to generate funds for Muker Village Hall, does the original photographer justice.